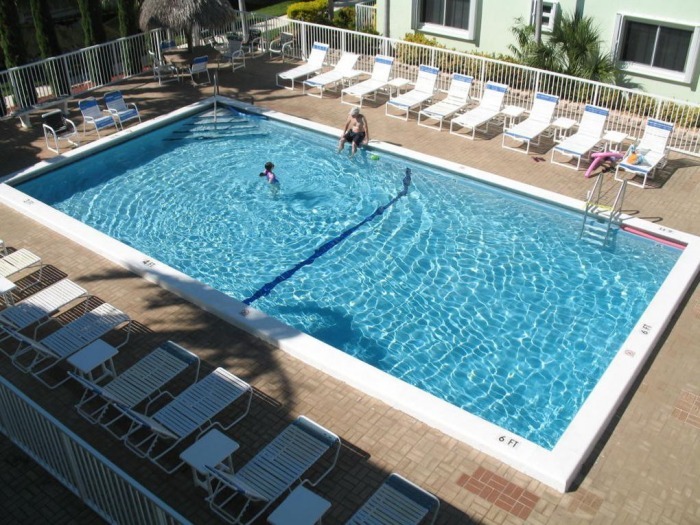 The Sea Isle Condominiums offer several amenities for our owners and guests. Our management and maintenance crew work hard to kept our grounds in excellent shape. There are many things to enjoy without having to go anywhere. Relax under our Tiki umbrellas by the pool. Enjoy coffee on the patio while reading the paper and listening to the breeze through our palm trees. Read a book in under the shade of our palm trees or Tiki Hut. Stroll the beach for sea shells. 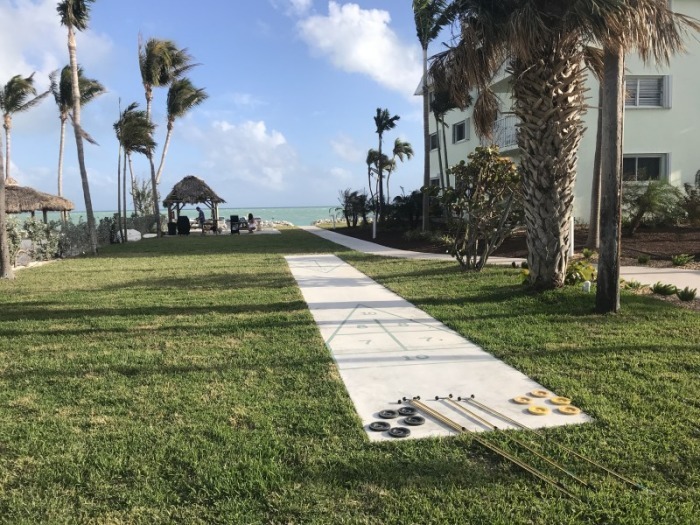 Play a game of shuffle board with your family and friends. Grill at our oceanside Tiki. Should we go to the beach or pool first? Do I settle in on a comfy lounger or sunbathe on a beach towel in the sand? Do I take a nap in the sun or rest under the shade of the palm trees or Tiki Hut? Do I go for a swim in the pool or play a game of shuffleboard with the family? Should we grill out tonight or go to our favorite local restaurant? Should we catch the sunset at Sunset Park? Well, yes you should!!! 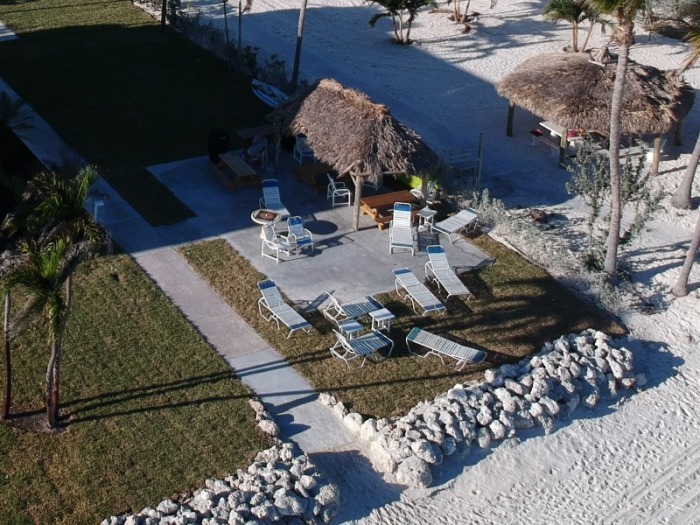 Beach side Tiki Hut with shade, chairs, and picnic tables. Pool side chairs, and loungers. Free WIFI available at the pool and on the beach. Dedicated parking for each Unit.